Turn decorative jars into concrete tea light candle holders with this easy DIY. 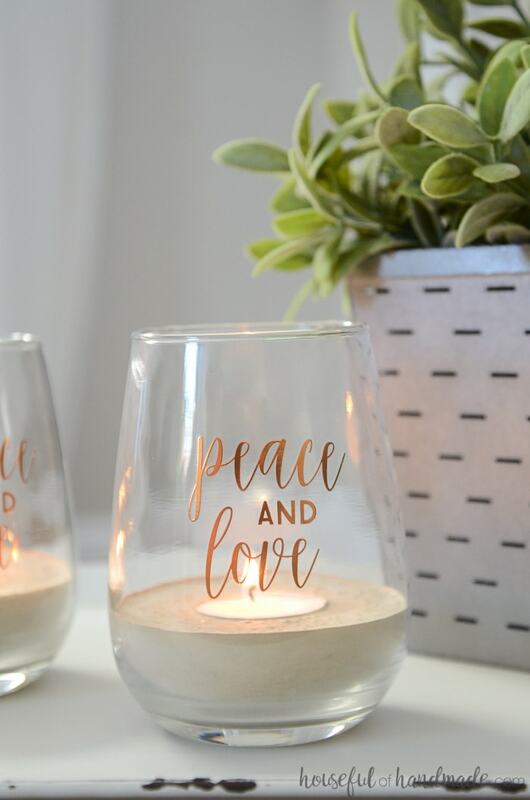 These decorative votives are perfect for adding a little sparkle to your home. 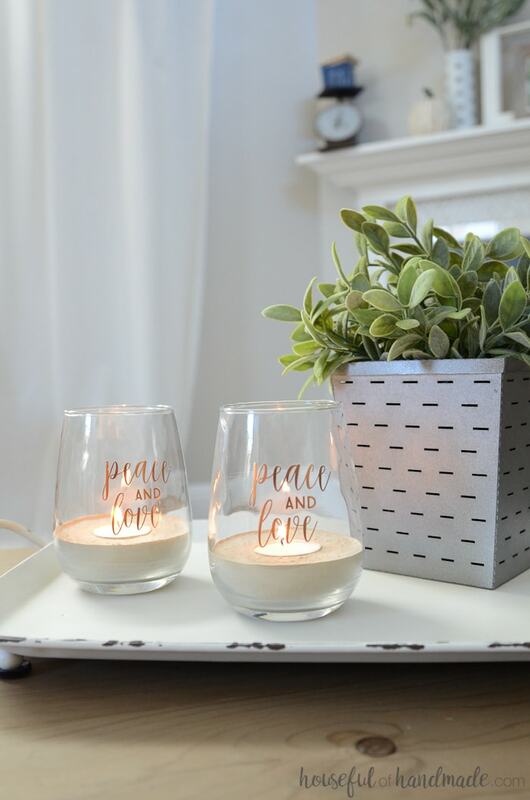 If you love candles you are going to love these concrete tea light candle holders! 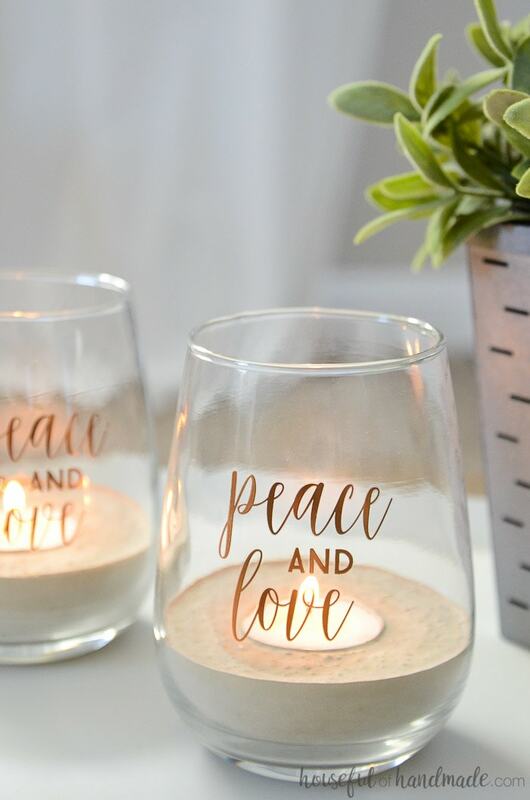 They are the perfect way to add even more sparkling candlelight to your home. And you can use this easy tutorial to turn any pretty jars you have lying around into beautiful concrete candle holders. They also make easy DIY gift ideas. 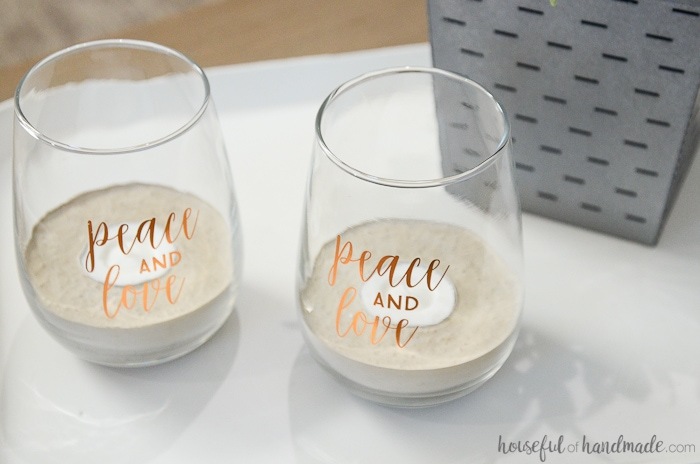 I was so happy with how the easy copper candle holders I made last month turned out, when I saw these cute stemless wine glasses in the Target Dollar Spot I knew exactly what I wanted to do with them. 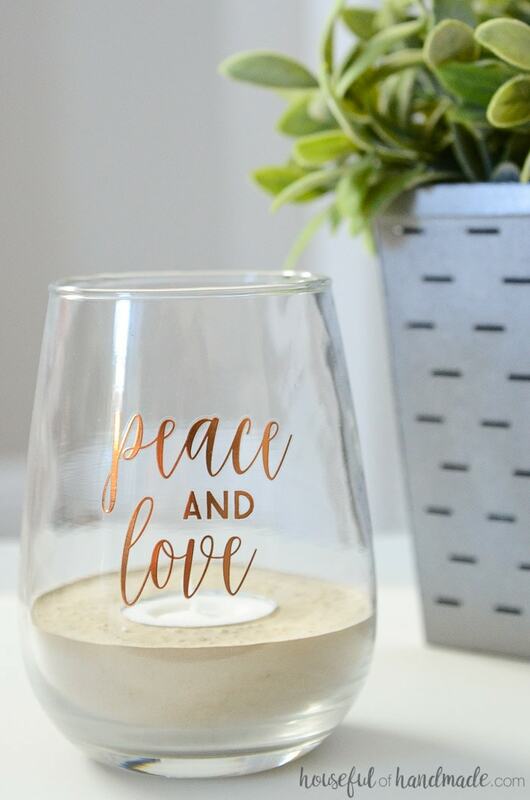 Why not turn the glasses into beautiful tea light candle holders too? And of course, I reached for the concrete again. If you love the concrete trend you have been seeing in home decor, but have been afraid to try it out. This is perfect for you. These concrete tea light candle holders are so easy to make. Seriously! Sooooo easy. And the concrete is mostly fool proof because you are putting it in a container. So if your concrete isn’t mixed to the perfect consistency, your candles will still work. Yay!!! 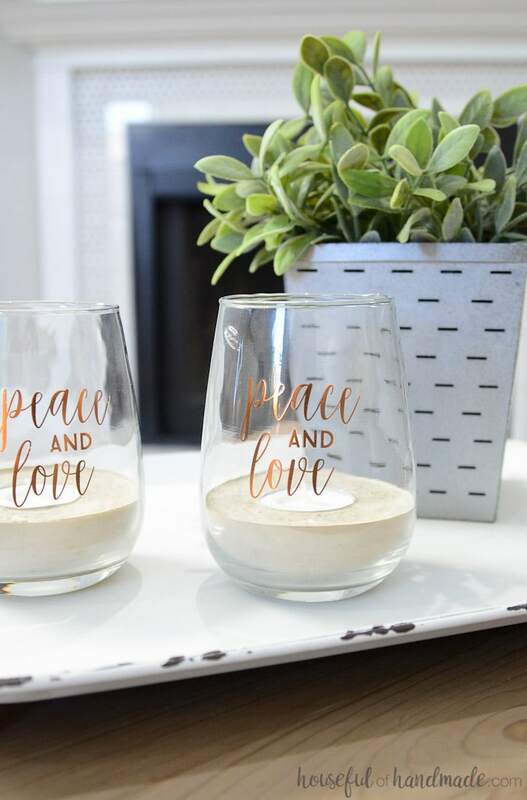 These concrete tea light candle holders turned out so good, I ran to Target to grab another set of stemless glasses to make more! I am thinking I will use them on my mantel, or maybe for DIY gifts this Christmas. Maybe I should run back and grab a few more… they were only $3 per set. 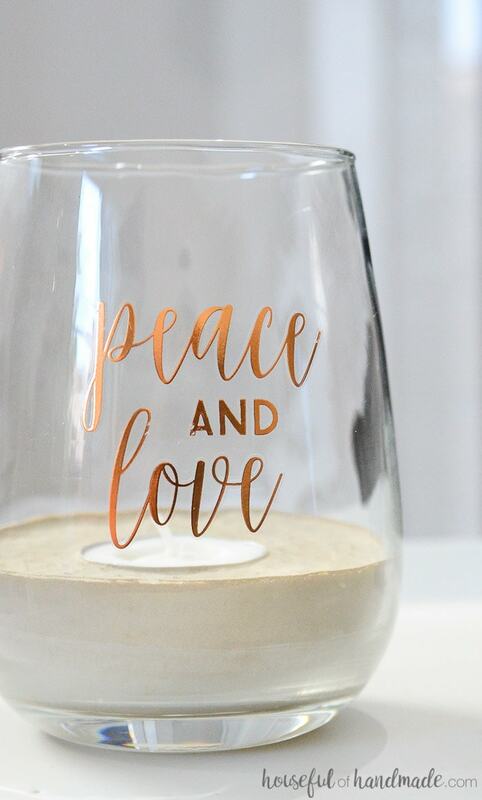 I am really loving how cute these tea light candle holders look in my fall decor, but I am super excited to use them for Christmas too! Nothing like a little flickering light to make all your Christmas decorations really sparkle! If you want to see how easy it is to make your own concrete tea light candle holders, click the arrow below for the full tutorial. And don’t forget to check out the rest of my DIY Decor Tutorials. Are the tea candles easy to replace once they burn down? You might have to scrape a tiny bit of wax out, but usually they are mostly gone when they completely burn out.